So I kind of fail. Between the DWTS madness, All American, AJ being AJ, Brian’s upcoming event, and the whole Black Friday madness in real life? I slipped up and forgot to post about Kevin. I’m pretty proud of myself for trying to keep up with *sigh* real life in the way and all that. But, I’m here now and I just want to talk about Kevin. Cause you know, Kevin is hypnotic. I still think he’s a Jedi, deep down. Hey Disney? Can we have Kevin cast as one in one of the new Star Wars sequels following the one out next month? Please? He’s perfect for it! So the movie is called “If I Could Tell You”, there was an indigogo running to fund the project exactly (well almost) a year ago. Back before this blog came to fruition though it did get a thread of discussion on our TDS Forums. Here’s the basics. Kevin plays, well, a sperm donor named Derek. The story itself focuses on a couple struggling to conceive and their journey to make it happen no matter what it might take. It’s an interesting part but as we know from his previous roles on Bloody Indulgent and The Casserole Club, oh and remember when he learned about his role in Saint Mary’s Secret? I mean, really, Kevin goes for the meaty character roles and the quirky roles. Which is pretty neat. I’m sure no one (who only know him as a BSB) expect that from a “boybander”. So here’s Kevin, all about proving them wrong. Update on March 30th 2016: The short film is due to be screened as part of the Nashville Film Festival on April 14. No word yet on if Kevin himself will make an appearance… but we’re hopeful! Cause, why not? I’m optimistic. You can get more information about the Nashville Film Festival here! Update on June 30th: They’re starting a campaign to support the movie’s release on iTunes – August 2nd! 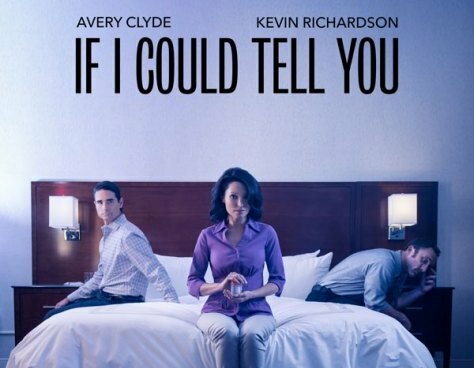 Update on 8/2 – If I Could Tell You is available to buy NOW on itunes and On Demand! November 30, 2015 in Kevin Richardson, News, Solo. ← All American Review – It’s Nicksgiving!